Lazies, Sew, with the arrival of our four new Stiff Stuff Crafts patterns, let me share my tips to sew a button on by machine. I can already tell you that this is not in the category of ‘best practices’. This is what works for me. Read on, watch the video tutorial, then enter the giveaway for some Button Boats goodness of your own. In case you missed it, this is my new Button Boats design, LGD138. She is dressed in yummy Patrick Lose Fabrics from his Land & Sea Building Blocks, or 10″ squares. Here’s how I audition fabrics and buttons for the Button Boats. Fold one square into thirds and center it on top of the other square. This helps me visualize the fabric proportions. I also put the buttons in there to see how they look as well. Fold one fabric in thirds, stack, drool. Here is the new line of Button Up! Snack Packs from Just Another Button Company JABC. They have 20 amazing colors (with more on the way!) in packs eight buttons in two styles, in two sizes (four 5/8″ and four 3/4″). Look for them at your local quilt shop. Look at these amazing colors! The Button Up! line also includes all of the yummy colors in Smoothie packs (JABC25+color) of 25 rounds in matte finish, and Party Packs (JABC55+color) of 55+ assorted sizes, shapes and finishes. Jumping ahead, here I have my supplies cut and stitched to make our Button Boat. If you have lots of button options, lay them all out and see who looks best. You’ll need four buttons per boat. My first choice is second from the top end, Blue Skies JABC812. Notice there are two pretty sides to each button. They can be attached with the shiny or matte side showing. I use a little bit of desk tape, such as Scotch brand, to hold my buttons in place for stitching. It lets me see exactly where to place a button. Desk tape is a handy tool in the studio. I sew buttons on by machine when possible. Lower your feed dogs. Use a zigzag stitch set to the width you need, but set the length at zero. You want the needle to go side to side, but you do not want the project or the button to move. Locate and tape all of the buttons in place. Then get stitching. I don’t snip the thread between buttons. I simply stitch one button, move to the next button and so on until I’m done. Then I go back and snip all the threads at once. After stitching, carefully remove the tape starting from both ends and pull toward the middle. The stitching will puncture the tape, making it likely to rip. Slowly pull the tape toward the center to remove. – Three winners will be chosen. – Giveaway ends Tuesday November 22, 2016. – I’ll contact the winners via email. Thank you to Just Another Button Company for sponsoring this giveaway. 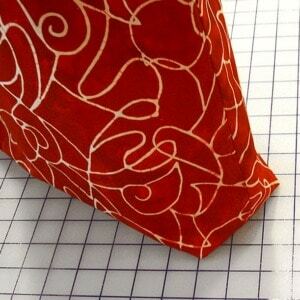 « Previous PostNEW: Meet Stiff Stuff Craft Patterns! I have so many projects that I could use this on including some new bags. Love your Button Boats…I was looking for a way to store my Wonder Clips and buttons so these would be perfect for both!! These look great for keeping all the bits and bobs on my desk in one place. What a cute way to store all those little bits and bobs. So handy as you can see where they are instead of hunting for their lair. I’m not sure exactly how I’ll use it, because I can think of so many ways. It is just so cute! I use a lot of containers all over my house and i decorate and/or cover them to blend with the room decor. I do a lot of sewing and crafting, so there are always things needing to be contained. I would use them to store little things on my cutting table. I have to be careful or I’ll be putting buttons on EVERYTHING!!! I’d use them to store my Wonder Clips or for small fabric scraps. 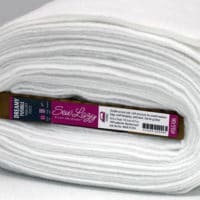 Whenever I cut fabric for projects, especially if I’m not going to sew it right away, I like to keep all fabrics, interfacings, battings, thread, etc. together. These button boats would work perfectly for small projects! The button boats are perfect for so many things – I’m sure they’ll be all over the house in no time! Love this tutorial on sewing on buttons – looks easy peasy! I sew on buttons the same way. I would use the button boats for candy on our table. Would love to make for gifts. But my 1st basket would be for my sewing table doo-dads. Looks like fun! love Lazy Girl patterns! There so many uses for these great little projects. 1. A Get Well Baskette. Tea bags, Honey packs, tissues, Cough Drops…..personal touches to help a Loved one battle the colds of the season! A fun project to share your Holiday Baked goods in! Cookies, Breads, Candies…With a great basket to reuse for the recepient! I would love to win the giveaway. I can see mine being used for so many things such as: holding crackers,nuts or mints for the holidays. Holding my hand sewing work. The possibilities are endless. Love the new patterns. I think I’ll use mine to hold my zipper pulls and purse hardware. Thanks for the give away. A budding new sewer would relish the delights this project can hold. Pins, Needles, Threads, Measure tape, & Pin cushion. A handy basket to inspire the new as well as the old. I would use the Button Boat to hold items next to my sewing machine for quick retrieval. The Button Boat looks like a perfect vessel to store my collection of Wonder Clips. Thanks for the chance to win! Thinking they will make great gift baskets to put goodies in for my little ones or quilting friends-my ideas are running wild in my brain!! Awesome button tip! Thank you. These boats look awesome! Thanks for the chance to win a kit. I would use my button boat for craft fairs to keep the small things on my table organized. Thanks for your wonderful tutorial. I like your method of choosing fabric. I would use the boats to hold thread or other small tools. I love your tutorial. Thanks for showing how you select your fabrics. I would use the boats to hold thread or small tools. These button boats are sooo cute. Thanks for the giveaway! I love all your new craft patterns! I’m a bag maker and have several of your patterns. 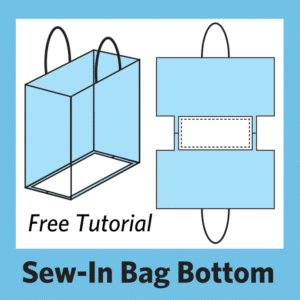 Thanks for being sew lazy, they made it easy for a beginner. Love all your patterns and Craftsy classes! I will definitely use my button boat in my sewing room. You can never have too many storage options. I would use the “boats” to store clips, and many other things that are always in the way. Boats will keep them stored and easy to use. I would make a boat out of Christmas fabric and fill it with decoreactions like glass ornaments, or Christmas Candies. you can make one for all the holidays then put them away until next year. Love these. thanks for all the good ideas. What a clever way to add buttons! I would use these in my sewing room to hold various items like spools of thread, my seam rippers, and, oh! They would be great for my Wonder Clips!! Could so use this to help organize my sewing room (which desperately needs it)!!!! I would love to have these in my sewing room! I would use them as super cute AND functional storage for my notions, and I’m sure there would be a gazillion things that they’d come in handy for that I’d discover as time went on! Oh my gosh I love these! I can use these in so many ways! my first thought is for my teenage granddaughter to sort her hair accessories. 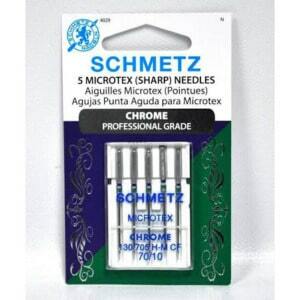 For me, I would use them next to my sewing machine to hold small items while working on my project. Also, I must have one next to my bed to hold my lip gloss, hand lotion readers, etc. Thanks for the opportunity! ?? I just love this little boat and the variety of button possibilities! I would use it to hold me keys in the evening, that way I would never lose them. I would use my Button Boats to hold my quilt clips and basting pins while assembling a quilt sandwich. I do charity sewing for the local children’s shelter and being organized helps me to be efficient and productive. I’m also crazy about buttons! Thanks to Joan and the Just Another Button Company for sharing this design and for sponsoring this giveaway. These are so cool! I’d use them to hold little things in my cubbies and look cute! I’ll use my button boat to hold office clutter–pencils, pens, paper clips, rubber bands, small stapler, pencil lead, staples, erasers, etc. It’ll be a colorful addition to the space! I would use the Button Boats to hold things at my sewing machine. It’s always nice to have things organized and handy. I am going to make a boat for keys at the front door. Another boat for the bathroom- hopefully to help my daughters keep their vanity organized, and one more for my sewing room to hold my snip and seam rippers. I would use it for my husband to put his watch and stuff on the headboard. Everything’s about my new granddaughter these days… a button boat would be so cute for holding her wee burp clothes or small toys. Since I am a go-go girl (I love to travel) and since the Button Boat looks like it will be flat when unbuttoned, I will pack it to hold all those precious little things that I do not want to get lost or pushed off onto the floor! I love the boats. The tape is a great tip. I love sewing on buttons this way. Never thought of the tape though, will have to use that from now on! I love the button bowl. It would make a great holder for my supplies for a project. They would be cute for snacks such as nuts or mints, you could use seasonal or theme fabric. Such a cute pattern. When making a project I like to put all the notions for the project together and these button boats will be perfect for storing them. Thank you for this pattern. I’ d use them for whip and I’d make some for my sons new home. OH These would be Perfect to use all over our Antique Store. To hold Magnets, loose buttons, vintage lace and ribbons, Candy for the kids, Jewlery we sell that are missing their mates, sugar packets at our coffee bar I could just go on and on. And that is just the store not including our aucton house and personaL home. I tried to comment to enter the giveaway but I couldn’t… using an IOS up-to-date iPad Air 2. A button boat would be very useful in my new craft building/shop! 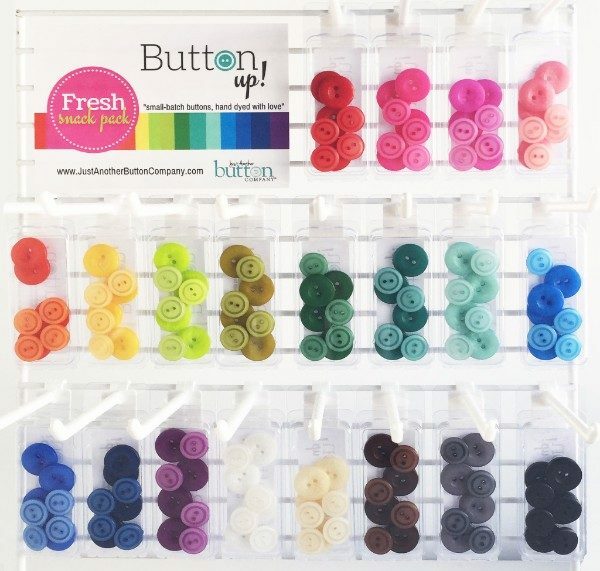 These great new buttons would be adorable on all kinds of craft and sewing projects! All my crocheting gadgets can snuggle in it. Think I’d use them to hold unshelled nuts over Thanksgiving! Or possible as a napkin basket! I would use my Button Boat next to my cutting table to hold my rotary cutters. I will give mine as a gift–either my daughter or one of my 2 neices. They look fun and youthful, don’t they!! Love all your projects Joan. I have two of your Craftsy classes and they are superb. This button boat is a great idea to hold my yarn balls! I will make some gifts and also keep a couple for myself! I might use my button boat for dinner rolls or homemade bread, the remotes or hair supplies… sew many ways to use the button boat! Another great project. I can see these living all over the house but especially as a special basket for the guest room to welcome guests. New grand baby arriving soon. These would be perfect for all his little things. I would use them on each end of my Iron Carry Tote or on tote bags or any place I want to make a statement. Great colors!! these little boats of beauty would look fantastic beside my machine(s) holding clover clips, embroidery snips and my seam ripper. well and maybe some candy treats as well to keep me motivated! I would use as a catch all for notions etc that I would need for the project I am working on. Would love to win as these look easy and so different-quick gifts! I’ll use mine for collecting things next to my machine. Great for quick gifts! Also for the sewing room to “catch” that stuff. You’ve done it again, Joan. It is such a useful item! Would love to win — would make a great gift for my ‘crafty’ friends!! “Whatever floats your boat!! !” Idea for Christmas gift for a guy: Use a masculine print or sports team and it would be a basket for TV remote or notepad and pen and hard candy for a snack. There are so many uses for these button boats. First-they would make cute gifts for several of my quilting friends. For others, they are just pretty little useful containers to hold just about anything!! Would love to have button boats all over my sewing table for zipper trimmings, buttons for my button boats and my button collections, tools, etc. Thanks, Joan, for your awesome instructions from your Craftsy class and your easy but oh so fun projects! Button boats are the perfect size for holding my little girl’s headbands and bows. Also, they will make great sock catchers for sorting those socks that seem to get lost in the dryer. Thanks! I love these button boats. I can see using one in the land and sea collection in my kids bathroom. The colors and theme of the fabric would be perfect. Then I’d make some up for teacher gifts to hold little goodies I’ve collected thruout the year. THANK YOU FOR YOUR INSPIRATION! SO NEAT! I’D LIKE TO MAKE A BASKET LIKE YOU DID! THANKS FOR THE GIVEAWAY TOO! I will use it to help me better organize my sewing space. How great to give as a gift, or a great thank you & personal gift for someone. Love the machine sew for buttons. Have not tried, but that just moved to the top of my “bucket list”. And of course, a couple boats for myself! I love buttons! These buttons are beautiful! I have used them for pouches. When I make a Button Boat, I think I’ll use it to keep my essential sewing needs right next to my machine! Thanks for the giveaway! There are sew many uses for the button boats! I am planning to make these for Christmas gifts as they are cute and useful for everyone. I can think of so many wonderful things to keep in a Button Boat but would probably keep a hand stitching project next to my TV chair. Love the colors! Would be great to keep spools of threads and bobbins by the sewing machine! Hi Joan…I would use my Button Boats to hold the tiny scraps from making small hexies,,,and of course holding my hexies as they would look so cute in those little boats…. The Button Boats would be wonderful to use in the sewing room to keep my Wonder Clips and measuring tape in. Seems I can never find them when I need them…lol. Love the tape idea! Thanks so much. I’m always needing little open containers like this in my sewing room, bathroom, bedroom, etc. I could use one in my sewing room for all those little notions I need right at my side. Awesome design! I think I will use my button boats on my desk at home. I tend to have a lot of “little stuff” laying around and getting lost. And, I have to say that I have been sewing for 65 of my newly attained 70 years, and have had a sewing machine almost all of that time, and I have never sewn a button with a sewing machine. I used to sew all of my buttonholes by hand because I enjoyed it. I haven’t made any in a long time, so I don’t know if I feel the same way….lol. Thanks for the chance to win. I am reorganizing my studio. I need lots of open containers to,hold various clips, threads and other small quilting tools. My sewing area is a disaster. Another something, as in a Button Boat, to store my tools would be awesome. I’d make Button Boats to use on a table by the garage door to place our keys when we come it. This will eliminate trying to locate the keys every time we leave the house. Another would be to have them in the bedroom as a catch all when men empty their pockets of change and to put their watch/ring in. 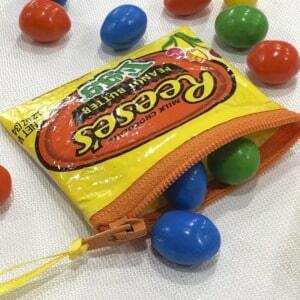 I would also make one to put on my sewing table to hold candy. I Think these button up boats would be great catch alls. I especially would like to use them for men’s gifts… with goodies.. candy. Also they would be perfect for a mom of a new baby to catch all she needs close by, I have a new nephew that has a ocean theme for his nursery. Thanks for the tutorial a great idea I should try. Love these boats! Perfect for organizing stuff for current project. I would keep at least one in sewing room to hold my sewing machine feet and small notions. Another one I’d keep by my front door to hold keys that always get misplaced! I’d use them to sort elastic! I would like to use to store guest necessities in the bathroom. I would use the button boats to organize my sewing room! Thanks. I would love to have one of these for my spools of thread for my current project! I thinks these little boats would be perfect to hold notions at the sewing table. Mine are forever rolling off the table! They would also be very useful to hold your eyeglasses when you take them off for the night. I’d use Button Boats for gift baskets! I’ve sewn buttons on by machine for years. Great tip! I think I might be doing a few of these for Christmas gifts, thanks for the helpful tips. I love the tape idea for holding the button down! I would use Button Boats for holding all kinds of stuff in my sewing room….like zippers and trims…and clips…and BUTTONS! 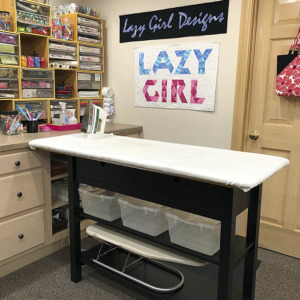 I would use the darling button boats to organize sewing and craft supplies in my Studio! I would make this for a very dear friend. She would love it. I think one or two of these would be great on my desk at work to corral odds and ends- staple remover, correction tape, erasers………. Love this! And I love both the pattern and of course, the Patrick Lose material!! Thanks for the heads up about the button snack packs! Love your patterns. I get mine at Joanns. Keep them coming! I would use it in my sewing room for my notions on the cutting table. So much prettier than the wicker basket I have been using. I’m sure I would make many more for other places in the house and for gifts. My Granddaughters would love them. They love to hang out in my sewing room! Love this! I will make one for my office and one for my sewing room and one for my grandsons nursery! I use these open containers to keep all the notions for each project together and quick to find so I can use little bits of time to work rather than search! This button boat would be too handy in my sewing studio. I love Lazy Girl patterns. Fun, fun, fun! Oh what a lovely prize to win. Thank you for the opportunity to win. I absolutely LOVE your patterns. They are so easy to follow visually. Love this pattern and the fabrics and buttons! I would probably use this as a catch-all next to my sewing machine. I knew you could sew buttons on with the machine, but have never tried it – thanks for the video! There is always “stuff” that needs a home…. why not have a pretty home, right? I need a button boat to hold all my pony tail bands/barrettes that are scattered on my bathroom counter. They would also make great holiday gifts. I think they would make great gifts for Christmas after I keep the first one for myself. Thanks for the give-away! I love the pattern & colors used…it’s ME! These boats would be great for sorting/holding sewing supplies like pins, binding clips, etc. So cute. Love the fabric colors. Would probably use on the table by my favorite chair. To hold my supplies for my tv sewing. I need help in keeping my sewing room organized. This looks as if it could be part of my answer. Love Lazy Girl patterns. I would love to make these cute bowls and fill them with goodies like cookies and candies, or maybe a collection of bath and beauty products, or items to use for a mani-pedi, and give them as gifts for people in the hospital, or a bay shower etc. they’re so cute! They would be great to keep every rounded up so i could just take it from cutting table-ironing board-sewing machine. Wow! What a step up this would be from Grandma’s old Button Can!! Saw your new products at Quilt Trends and love be them all! The gift card holders are perfect for giving gift cards! The button boats have many uses, especially for holding things in my sewing room! They look,like they would be a nice gift to give a friend also! I would love to make these with the fabric shown. I have seen the pattern and was thinking about looking for it. I want to organize some sewing supplies. Great design. Love the buttons. Love pretty storage in my sewing room. Wish I had thought of this…it looks so easy. Thanks for the opportunity to win something. OMG – I just see myself giving a set of these to my work. I’m now a reference librarian at a private boarding school . The kids seem unable to walk by my desk without depositing or twiddling with my desk stuff. A few of these would be so useful to contain clutter! New to your blog, but you can count on my return! What’s darling boat – I would use it for my wonderclips. I need something to hold tools beside by sewing machines. I can see many fun uses! Maybe candy dishes for the Holidays? I would use the button boats to hold sewing notions. I love these since I first saw them a month or two ago. I plan on making these as gifts for quilting friends. Also good for traveling bedside containers that can be stored flat. Wonderful basket boats and I have buttons galore. Great to store so many sewing items. Thanks for giveaway. These will be handy to hold all the “stuff” that is on my sewing table! I want to use my button boats to hold notions in my sewing room. Great looking storage for my cluttered sewing room!! I am a bit of a messy sewer, I get stuff everywhere, so I would need one of rain myself but I am sure I will make plenty for my friends so they can enjoy them too. Looks great as usual, Joan! 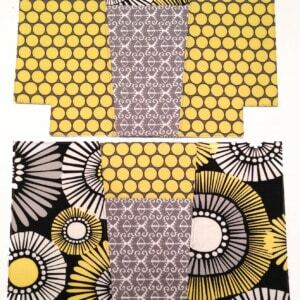 Thanks for including my fabrics in the awesome things you do! I would use it for a thread caddy while I’m working on projects. I will use the Button Boat on my sewing table to catch the spools, bobbins, and little scissors that I use by my machine. I would use it in the mudroom/laundry area to hold keys, outgoing mail, this and that. I would make them as gifts for my BFF. So fun! I’d make it for my sister in law who sews a lot of kids clothes and always talks about how much she needs to organize her embellishments. I would use it for storing some of my notions. I would use mine to collect keys on the table by the front door. Love these button boats! Great way to use 10″ squares! I will make some for gifts, some for jewelry storage & several pretty ones in my favorite fabrics for storing sewing items in my sewing room. 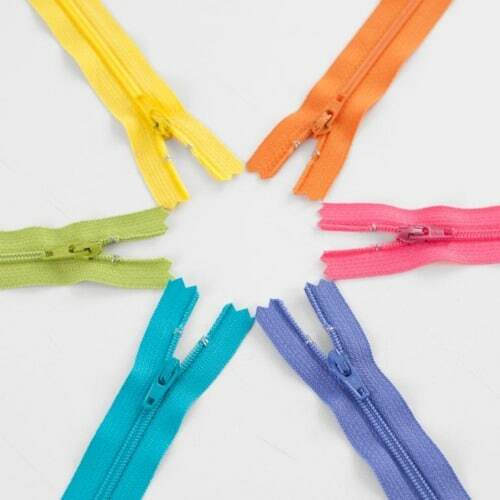 These would be great for holding zipper ends. Very cute. I love the buttons and the pattern, if I don’t win I will have to buy it! I love little fabric baskets and always need them to store stuff. I would use a button boat to hold my sewing notions. Im loving your boat. I think it would be s good collect all on the counter right now where everything gets tossed in a pile. I would use them on purses!!! I love your button boats. My sewing machine is upstairs but I often want to do handsewing downstairs. The button boats would be perfect for loading up the supplies and keeping them together while I stitch! Thank you! These would be fabulous to store my sewing machine tools – easy to find and would blend in wonderfully with the decor. This is an adorable basket. I would use it to hold anything that is needed for the project I’m working on at the time. Use this too let see me friends and more. I wou;d keep it by my sewing machine at all times. The way I would use the button boat is to enter it into the local fair competition and win lots of awards! This is such a cute design! I’d of course use for buttons!? lace, pins, clips etc. I love having small containers to keep things organized in my sewing room and family room by my chair! So excitef! ???? I’d use it to collect my dog’s ribbons and bows. It’s delightful! I’d use this next to my sewing machine to hold sewing notions. Thanks for the chance to win. I would like to use the button boat to hold bobbins, presser feet and other small sewing supplies new my sewing machine. Very anxious to get pattern and get started making button boats. I think the Button Boat would be great for a gift basket. Fill it with kitchen tools, sewing notions or toiletries, wrap it up and give as a gift basket. Looking forward to using it as I am cutting and trimming for putting scraps of material and thread into as I quilt. I would enjoy using to catch my fabric pieces to reuse for another project. I would use the Button Boats to catch my fabric pieces to reuse for another project. 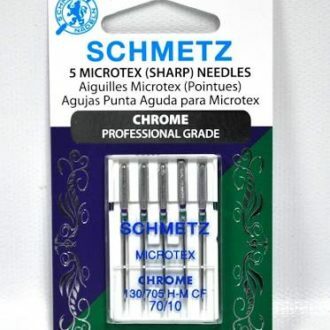 I would use on my sewing table for all the tools I’m using when sewing. I think they would also be great gifts filled with something special. Thanks for sharing with us. I’d use it to hold my rotary cutters on my cutting table. Thanks for sharing the video. Oh the places these will go! Sorting and storing thread; holding makeup; organizing the dreaded “junk drawer”; even a candy dish! Fun project!! There are so many uses that come to mind. I’d like to put one right by my sewing machine to keep my most favourite Bernina feet handy. I would use mine in my sewing room for scissors and rotary cutter or maybe to put fresh homemade biscuits in at the dinner table! I would love to make a button boat–need to win to do so! I would use it on my quilt table to hold my hexi’s and Lucy Boston in progress! Love these — I can see myself using them to gift some baked goods. I can’t wait to use the button boats on my desk for my office supplies- paper clips, tape, binder clips, tacks and all the other do dads in my drawer I open 100 times a day. On the kitchen counter for napkins, sugar packets etc. and next to my bed for my earplugs, charger cord, and candies and mints for nighttime. 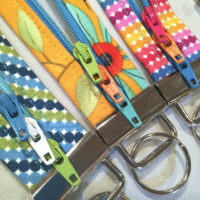 I would love to give these to my sewing friends for xmas gifts! I would make several so I could sort my small scraps of fabrics by color?? I’ll be giving lots of Button Boats as gifts – easy to make a custom gift for family and friends – Ohio State fabric for my niece (Go Buckeyes! ), golf fabrics for my hubby’s tees, dinosaur fabrics for my grandson. ..and anything batik for me!! I would use my button boats for my leftover bits. Right now I throw all those bits into a bag. I would use this cute little button boat for keeping my little red clips in for when I do binding. Perfect!! I would first like to organize my thread spools in one, other baskets for food gifts for Christmas like cookies. Fun and easy custom gifts for family and friends! Golf theme for my hubby’s tees, OSU fabrics for my niece,dinosaur fabrics for my grandson. ..anything batik for me. Put Slicker iron on vinyl on the inside and use for snack bowls or cosmetics. Lots of possibilities! I have numerous scissors, small notions that I use often and would love a nice basket to keep them in! My little 3-yr old grandgirl asked to make a sailboat yesterday. Don’t you think this would make her happy! I’d use these to store wonder clips. Help organize my zips, buttons, etc. and for gifts for special people in my life. Love these cute “boats” love that they can be stored flat! I would have them placed everywhere in my home… they would be great for throwing keys and things into!! These would be nice gifts basket. Cute as a baby gift, filled with baby essentials. Nice as a new home gift or holiday gift, brimming with special treats and goodies. Love Lazy Girl Stiff Stuff. Make many purses using this and recommend to all my friends who in turn use it. Also use many buttons in various colors. So use one for my nightly handsewing and embroidery. In my case they’d be presents. I’d use it to organise all the things I need for a project ? This is the same directions as the directions in my old Singer Touch and Sew. Making button boats for my co-workers Christmas gifts. They are so fun to make! Your projects are always neat, pretty and useable.